It’s Geralt of Riva’s Birthday! What Did YOU Get Him? | "DESTROY ALL FANBOYS!" It’s Geralt of Riva’s Birthday! What Did YOU Get Him? 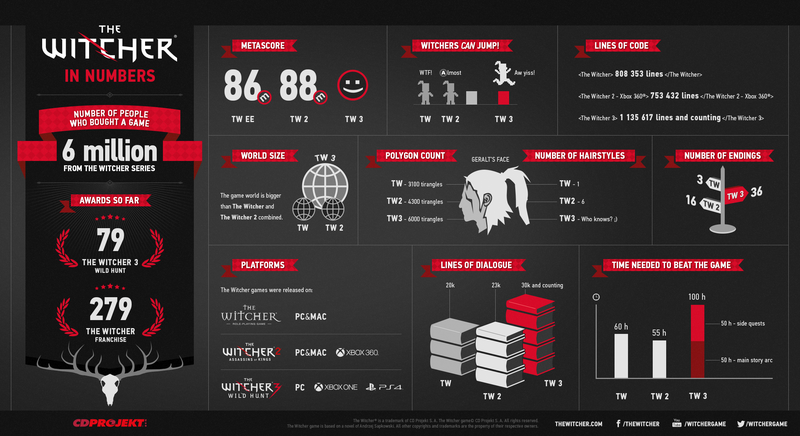 Okay, okay… some you may not have heard of Polish developer CD Projekt RED or their outstanding The Witcher series of games, but those who know what the heck I’m talking about get to ogle that art above and funny infographic below with a nod and a smile. And oh, yeah… I go him a nice pair of socks, as I think they weren’t invented back then and it gets COLD in those medieval fantasy winters! 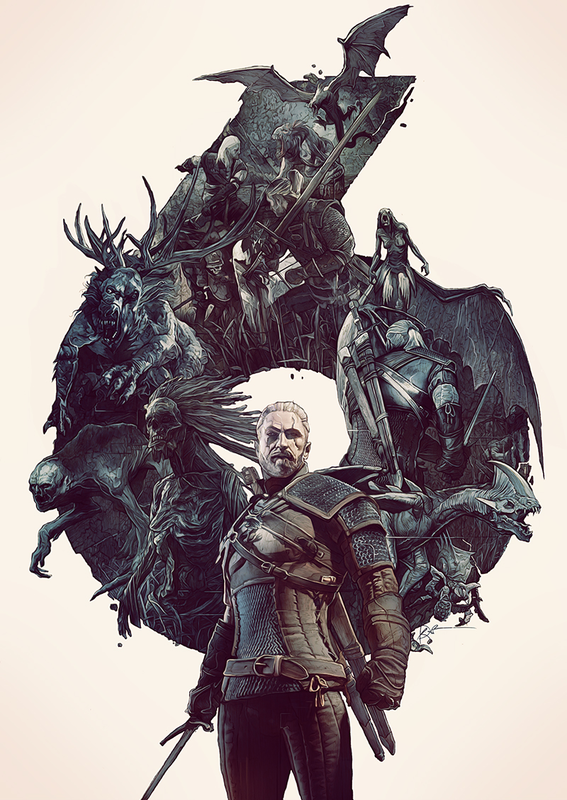 CD Projekt RED, the developers behind The Witcher, The Witcher 2: Assassins of Kings and The Witcher 3: Wild Hunt, are proud to announce that Geralt of Rivia, as known from your favorite video games, is now six years old! Six years have passed since we’ve embarked on the magical journey of bringing one of the most unique and recognizable fantasy worlds into the realm of video gaming. We’ve started with a dream and a few rough ideas and today we’re on the forefront of the next generation of role playing games. The continued support of gamers worldwide has been one of the keys to our success and a reason we have such a strong foundation to build from. We’d like to announce that six million copies of The Witcher games have been sold up to this day and our community is growing into one of the strongest RPG fandoms in the world. It is because of your dedication and constant involvement that the Xbox 360® version of The Witcher 2 has achieved “Classics” status in Europe and we are able to grow as a developer and bring you games that we hope will stay with you for years. The Witcher 2: Assassins of Kings is only $19.99/19.99€ on Xbox 360 – it’s the perfect time to embark on one of the most captivating dark fantasy adventures on the current generation. Visit buy.thewitcher.com for more information! This entry was posted in DAF, Updates and tagged 2013, 2014, BUY This Game, CD Projekt RED, Coming Soon, Commentary, Geralt of Riva, gog.com, Happy Birthday!, Humor, In Development, M-Rated Games, Mature, Microsoft, PC, PC Games, PlayStation 4, PlayStation Plus, PS4, PSN, SCEA, SEN, Sony, STEAM, The Witcher, The Witcher 2: Assassins of Kings Enhanced Edition, The Witcher 3: WIld Hunt, VGA 101, Video Game Appreciation 101, Video Game Trailers, Xbox Live, Xbox One by geelw. Bookmark the permalink.